It's a natural skate park - awesome! Cmac_spartan wrote: Just keep an open mind I'm relatively new to mountain boarding to and the best spot I've found is at a yacht club of all places. Also living in the city it's super fun to do stealth missions into golf courses just don't get caught! I'm a bit of an ozone freak! 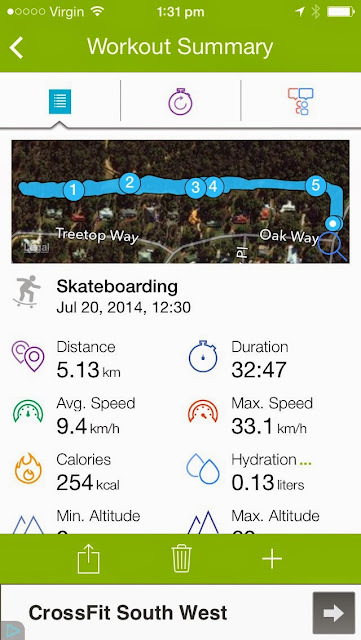 Got a new top speed today of 33.1 kph! No where near in the same class as some of the vids on here, just a bloke having some fun going down hill. And getting surprised by a dog! No longer needed as I have just ordered online with Munro Boards http://www.munroboards.com/ as I realised I had $28 worth of rewards from buying my board, so only paid $35 inc postage. does anybody have any MBS heel straps they are not using that they want to part with? And would be willing to post to Australia! I like them for when I am downhilling and they should flip out the way when I am kite boarding!